If the ERTMS failure is not identified in the GSM-R or signalling network on the ETCS line, the next step is to investigate the train movement authorities, RBC and interlocking. Interlocking (IXL) is the arrangement of signal apparatus, which prevents conflicting movements on train tracks through the use of junctions or crossings. Electrical interlocking uses software to control the hardware, instead of hard-wired networks of relays. This makes them much easier to change, as modifications can be done by reprogramming rather than rewiring. Part of the NetProbe Wayside Suite, this Module collects and graphically displays data, making it easy to analyse and investigate interlocking statuses and issues. 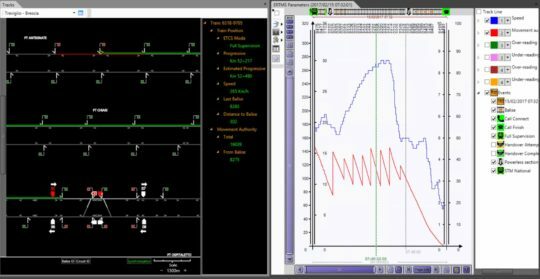 It enables GSM-R, ERTMS networks and IXL data on a L2 ETCS line to be monitored and reported using the same platform. Request the NetProbe Interlocking datasheet.